While researching for my book, I often come across wonderful and thought provoking ideas, such as the work of Paul Freedman. Therefore, I needed to share this with you. Needless to say that I highly recommend his book. People say that you should never embark on discussions about religion, politics or sports, because is a dead end; and I agree. We all have our blind spot, a tendency to ignore something, especially because it is difficult or unpleasant. 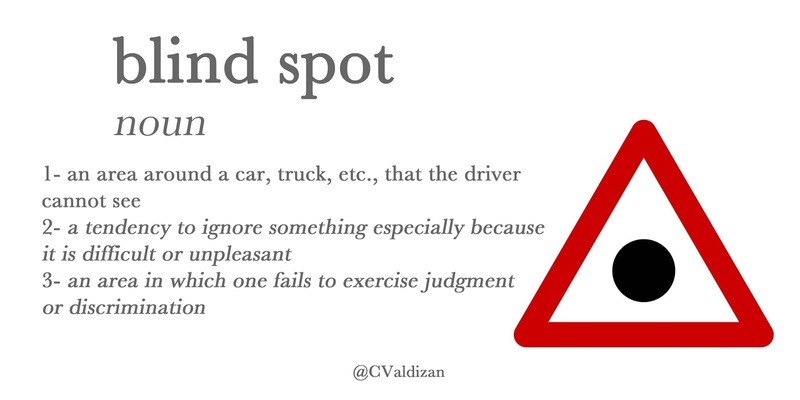 Areas where we fail to exercise good judgment. It's a common human characteristic, I would say. The problem is that this very common characteristic, blinds our judgment and kills our common sense. My work is related to politics, and for me is a challenge to explain people that, this person or that candidate, that hero of theirs, has as many flaws as their adversary. People have a tendency to find excuses for their behaviour, and that makes my work even harder. In politics is hard to remain objective, and is a goal that my works asks me to achieve, to make judgements only based on facts, not beliefs. But hey, I am a human after all and I have a blind spot as well! On the bright side, as an aspiring writer, dealing with this, and be aware of it; helps me to create and understand my characters better, I can make them more human, and less perfect... more real. Muslims in western societies are fond of saying that Islam — with 1.6 billion followers, roughly 23 percent of the human race — is a religion of peace. Overwhelmingly Muslim countries like Malaysia, Bangladesh, and Indonesia are largely peaceful, and so are countless Muslims living in the Americas and Europe. They all insist that terrorists, such as those who murdered Charlie Hebdo’s journalists and other unarmed civilians, do not represent them. But this binary division ignores the fact that there are several kinds of Muslims: the jihadis, militants who carry out terrorism; the Islamists, who use their religion for political gain and finance jihad from a distance; and the fundamentalists, those fervent believers who, while not belonging to jihadist groups, give them religious support. Then you have those who tacitly sympathize with jihad, and finally, there’s a silent minority, the pacifists. Why silent? Because they’re afraid to speak out, and in many cases rightly so, because to do so would mean being targeted and even killed by the other factions. The pro-violence groups are not a negligible part of the Muslim world. Even if they were just a handful, history has shown us that a small group can cause great damage if they rise to power. In 1939, for example, only 5.3 million out of 79.7 million Germans were affiliated with the National Socialist Party. And such groups are in power, in large parts of the world. Half of the Middle East’s countries are ruled by Islamists: Iran, Iraq, Syria, Lebanon, Saudi Arabia, Turkey, Yemen, and Palestine. Underlining and exacerbating the situation is the fact that the rulers of Saudi Arabia have funneled around US$100 billion for the promotion of a radical political Muslim agenda known as Wahhabism over the last 20 years. Many Muslims believe the Quran is beyond criticism, yet there are different interpretations of it. Al-Qaeda, Islamic State, and Boko Haram militants quote passages to justify their crimes and killing of “infidels.” Moderate Muslims then object that the quotes are taken out of context, or have been poorly translated and misinterpreted. However, most still defend a literal interpretation of the Quran under any circumstances, thus implicitly backing the jihadis. Much like Christianity and Judaism, Islam is another monotheist religion which by definition is not peaceful. What has kept Christians from continuing with the Inquisition and persecution of non-believers, as mandated throughout the Bible, is the separation of church and state. The Catholic church has committed heinous crimes, but it is no longer in a position to take lives, and has drawn a line under the worst excesses of its history. When the church withdrew from the state, or was expelled, it largely lost its political clout, and in most of the West we have at least accepted the theory of a secular state. But the majority of Muslim nations have not undergone that transformation, if indeed they ever will. 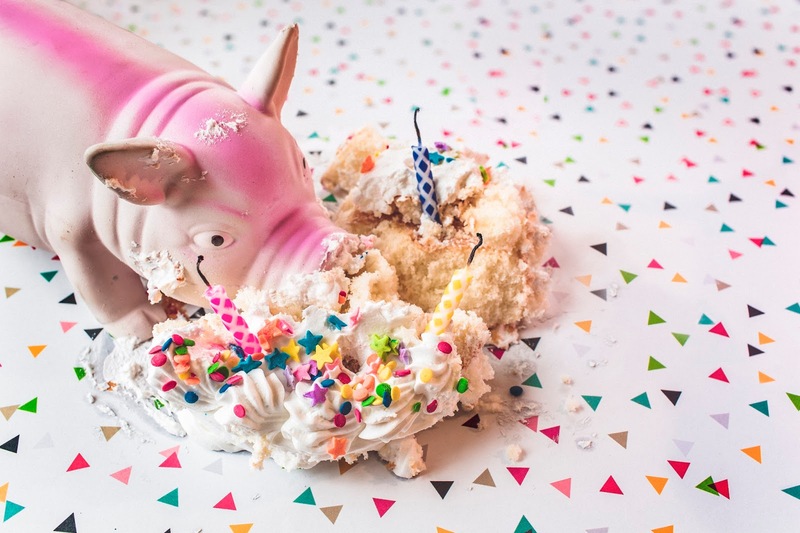 They are still ruled by sharia, a religious law, distinct from civil or criminal codes, that governs every aspect of life, controlling beliefs and behavior both in the public and private spheres. For instance, the death sentence for those who commit apostasy, or “criticize or deny Allah,” remains a very real threat in many parts of the Islamic world. Violations of sharia are judged in Islamic tribunals and are routinely met with stoning, mutilation, beating, and killing. Muslim law also targets homosexuals, intellectuals, and free-thinkers, but above all it tries to force women to submit. So how can we reconcile both worlds? Islamic fundamentalists view western civilization as a threat and are bent on fighting it. Unfortunately, many of their leaders misuse their positions of power to preach hate and divorce their followers even further from reality. Of course, there still exist examples of peaceful coexistence, but everyday we see more and more extremists inciting Muslims to violence, from the pulpit and the podium. Which prominent Muslim leader is unequivocally calling for world peace nowadays? Translation by Daniel Duarte. Edited by Laurie Blair and Fergus Hodgson. This article was originally published on January 14th 2015 at the PanAm Post, you can view the article here. I don't believe in New Years Resolutions and I consider them a waste of time and energy, plus they are for a great majority of individuals, self deception. They say they want to change or do what they don't want, or doesn't have the will. I am sure the optimists will disagree with me and I am happy for their disagreement; I also have no doubt that there exists organize and self discipline persons that stick to their resolutions. I have a question for you. Why wait for the New Year to change or do something to really want to do or change? 2012 was a very hard year for me, all the bad things that could happen, happened (my father died, my boyfriend left me for a woman 22 years younger, some co workers where making my life miserable, etc). When I reached my lowest point, I remembered reading years back the book, The Power of Now by Eckhart Tolle and since I had no other option at the moment, applied what the book teach and preach. Live the NOW. I took one day at a time. Even the worse ones, I was happy to make it to the end of the day. At the end of each day I started to realize that the day was actually good and was my anxiety to change things over and move on that was creating an imaginary bad day. I started to count my blessings one day at a time. In no time I was over my Ex and I accepted the departure of my father. Paid no attention to my working environment and things started to get better. Living the now liberated me. I had a fantastic 2013! Could've been better? Yes, Bad things happened? Of course. But I enjoyed every single day and lived to the fullest. I started a new job 3 months ago and can't be happier. Please don't wait for tomorrow or the New Years to make the changes you want to make. You can start one day at a time and that day is NOW. If you haven't done it, and you've been sticking to that resolution for years, you might not be ready or maybe you don't really want to. You might have been trying to please the expectations of others. Don't make it harder for you later, when you realize that your resolutions lasted only for a few days and you start making Lame Excuses. 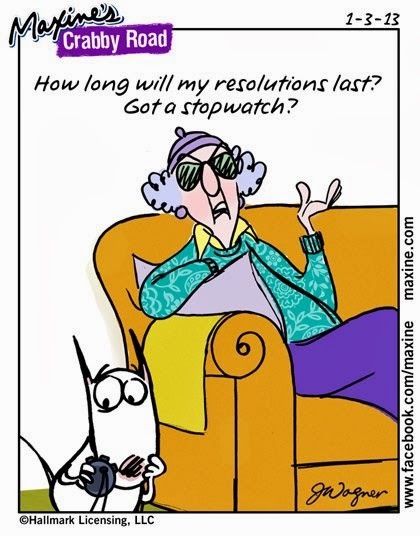 No more New Years resolutions for me, they are daily resolutions. 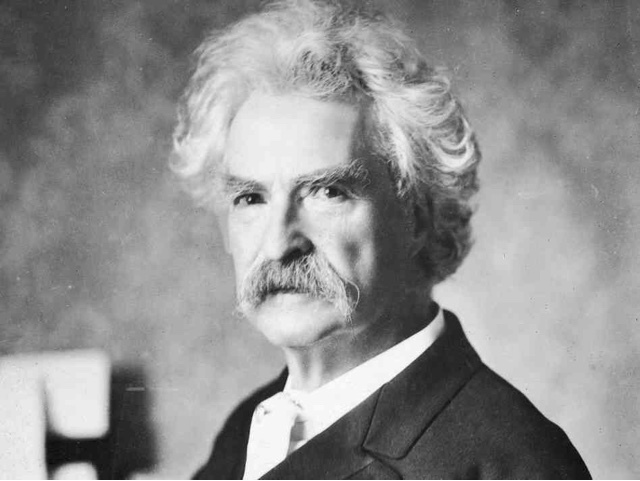 I am leaving you know with my all time favorite, the Great Mark Twain on New Years resolutions. Charles Dickens is one of my favorite authors, not only for his alluring narratives, but also for the strong moral messages in his fiction. Dickens was the principal novelist of the Victorian period and a moral authority of his time. In the present era, it is refreshing to read stories such as Nicholas Nickleby, Little Dorrit, A Tale of Two Cities, and A Christmas Carol - honor, family, and social concerns are central themes. Dickens did, however, abandon his wife after 22 years of marriage — the draw being a British actress, Ellen (Nelly) Ternan, 27 years his junior. I can hardly convey my surprise at this discovery: he left his home and hid his motives from his children. Only the older son, Charley, knew. But he refused to go with his father. 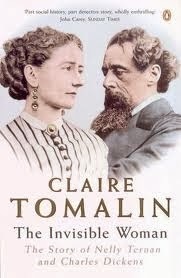 In The Invisible Woman British novelist Claire Tomalin explores the romance between Charles Dickens and Nelly Ternan. Now, Ralph Fiennes has captured the story on film. Fiennes is the director and principal actor, alongside a cast that includes Felicity Jones, Kristin Scott Thomas, Michelle Fairley, and Tom Hollander. Discovering this chapter in Dickens’s life really hit home. My boyfriend left me for a woman 22 years younger than he was. Why do men have such an interest in younger women? Why do young women have such an interest in older men? The first question seems easy to answer: youth, geniality, beauty, innocence — feeding the pride and ego of a man. However, that does not rule out the possibility of a truly loving relationship, based on mutual admiration, support, and shared your interests. This is what I think happened between Dickens and Ternan. Perhaps the perspective and motives on the side of the woman are more complex. Nowadays, society frowns upon those relationships — and I say "nowadays," because in the past the normal union was between a mature man and a young woman. Today we suspect that there exists an economic reason for the relationship: "She is with that old man because he has money.” But I would add, besides success, power, and money, older men invoke admiration. Without doubt, a man who has already achieved success in his professional life or is at the peak of his career is much more attractive, since it allows him to present more confidence in himself. And we cannot deny our animal nature: the alpha male is the leader of the pack, after all. This type of relationship is much more common and socially accepted in academic or intellectual circles, because there is nothing as attractive as an intellectual connection with someone — not to discount the value of physical attraction and chemistry. And I believe they constitute a resilient form of relationship, even if they are less frequent. In general, relationships in which there is a large age difference are shorter. The age difference presents big challenges. Even if at the beginning there is a lot of interest and passion, it could be difficult to sustain the same feelings over the course of time. Female sexual plenitude happens around age 40, and if the man is more than 15 years older one can see how his age might impede his keeping up. This does not mean this kind of couple cannot have sexual life, but for many women this can be a major concern. It also affects social life, because as one grows older, we lose interest in social activities and expect a quiet home life. If the woman is much younger and not yet ready for such a quiet tranquil existence, this may lead to boredom, feelings of monotony, lack of motivation, and can result in a loss of interest. Tomalin's book shows that, in the case of Dickens and Ternan, it was a relationship based on mutual interests. They shared a deep intellectual connection and an intense love for one another. She was an actress, and although it was not a profession loved by Victorian society they did enjoy certain freedoms that other women of the era did not have. In fact, some believe these freedoms are equivalent to those of women in the late 20th century. It is known that Catherine, Dickens’ wife, did not share her husband's interests, while Ternan was known for her intellectual and political interests. I am anxious to see how Ralph Fiennes plays Dickens in the film, and how he manages to transmit the essence of this romance from the role of director. It is worth mentioning that the former wife of Fiennes, Francesca Annis, is 17 years older than him. Are there personal reasons Fiennes is interested in this true life drama? Perhaps it is just a coincidence, but I will leave you with this: after Dickens’ death, his lover Nelly Ternan married a man 12 years her junior. Interesting, don’t you think? 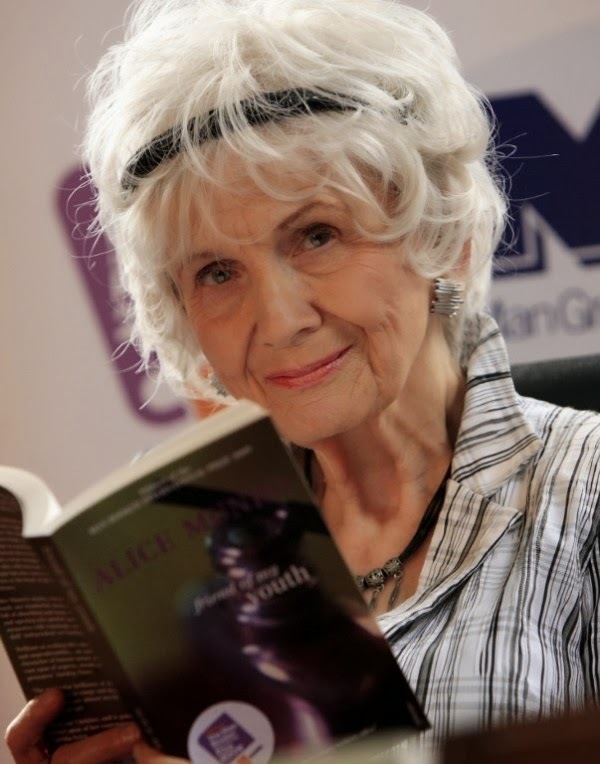 Today the Canadian author Alice Munro was awarded with the 2013 Nobel Prize for Literature. It is certainly one of the best news of the day, she is the 13th woman to receive the Nobel Prize in Literature. As the USA Today said: “She’s arguably the most popular writer to win the prestigious award”, and I would add, most likely one of the less politically influenced authors as well. She won the Nobel Prize for her short writing, that means that you don’t need to be a novelist to win the Nobel Prize. Her short stories are rich, beautiful and many are about women. In today’s phone interview that was made by the Nobel Prize Organization she recommends her latest book Dear Life: Stories for those that aren’t familiar with her work. I am thrilled for Mrs. Munro and I congratulate her for the well deserved award. Of course not all Nobel Prizes are without controversy. The biggest critics always goes for the Nobel Peace Prize that is tied to politics instead of Peace. Some might say is the “noble” of them all, I would said is the most corrupted of them all. When instead of going for the most deserved candidate it usually goes to the most “politically correct”, and the one that is in accordance to the political agenda of the day. You all remembered when President Barack Obama was awarded with the Nobel Peace Prize back in 2009, at the time he haven’t done anything for the global peace, instead he was awarded by his political career. I wonder what will the Nobel Prize Committee will say now? “He's engaged in a drone strike campaign that would make Bush blush. George W Bush conducted 45 drone strikes as President, killing 477. Barack Obama conducted 316 drone strikes, killing 2,363. These figures are from the New America Foundation – and the total dead is probably an underestimate. The Foundation says that the number killed could be as high as 3,404 including 307 civilian men women and children. One leaked document suggested that drones had killed 94 kids in 3 years”. According to Dr. Tim Stanley article for The Telegraph. Wow!!! This year the Nobel Peace Prize Committee announced that there are 259 candidates for this year Nobel Peace Prize. Fifty of them are organizations. Being the highest number of Candidates ever. If you ask me, the Prize should go without doubt to the real fighter and she is Malala Yousafzai. The 16 year old girl who in 2008 was 11 when the Taliban prohibited education for girls (in addition to prohibit music, television, etc), in Pakistan and she publicly said: "How dare the Taliban take away my basic right to education?". She started a campaign and fought for her rights and become one of the voices of the girls and women in Pakistan. In October 2012 she survived an assassination attempt and now has told her story to the world in her book I Am Malala. 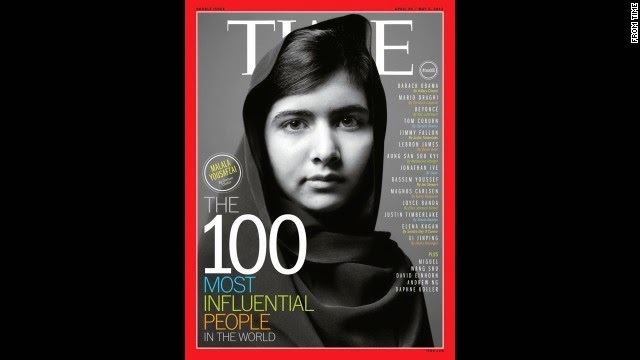 If the Nobel Peace Prize Committee has some decency and honor it will award the Prize to Malala. She will become the youngest recipient of a Nobel Peace Prize. One of the other nominees is Claudia Paz y Paz, a Guatemalan. Guatemala has a history of being awarded with Nobel Prizes. In 1967 the Nobel Prize for Literature was for Miguel Angel Asturias and in 1992 The Nobel Peace Prize to Rigoberta Menchú. I am not here to discuss these two, nevertheless, I know very few who believe Rigoberta Menchú deserved the Nobel Prize. She has less than 3% of acceptance in the Country. She was used by the International Political Agenda of France, Norway & Co. She fought for her interests and no one elses. But that is an old tale. Claudia Paz y Paz nomination is explained in the words of Kristian Berg Harpviken: “Claudia Paz y Paz Bailey, attorney general in Guatemala, had been responsible for the trial against former President, General José Efraín Ríos Montt, the first time when a former head of state has been charged with genocide by national courts”. General Efraín Ríos Montt, is an assassin, but he is not a genocide. 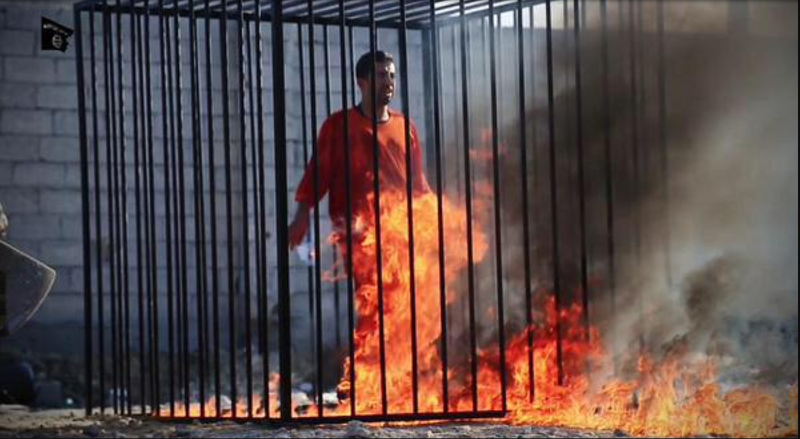 I believe he should face Justice for the crimes he committed (that are many), but the list doesn't include genocide. This woman turned Guatemalan courts into a circus for the international community that wanted to take revenge on the General. She seem to forget that in a war, specially like the civil war that was fought in Guatemala for over 30 years, you were either communist or not. Part of the Guerrilla or not. It was not about your race, it was about which side you were in, as in any war. The other day I was reading Ender's Game with my son, and in the book, Ender, the boy General that save the earth against the buggers, was later accused of genocide. Same story here, wars are not just, are not fair, wars are wars. Many innocent are killed but that doesn’t make it a genocide. Genocide is the explicit purpose to exterminate a determined group or race. After this woman tried to divide the country, turned brother against brother, and used women and children as dices for her political agenda; you tell me she is in the short list for the Nobel Peace Prize? What has she done to deserved it but to divide a nation that is struggling to heal after the Civil War? How dare she is in the same category of Malala? a child hero that fought with her life for her right to receive education? I don’t know the other candidates well enough and I don't consider myself fit to give an opinion, but anyone deserve the Nobel Peace Prize more than Claudia Paz y Paz. I hope common sense will prevail and I won’t have to wake up tomorrow when the Prize will be announce to another circus and a headache.